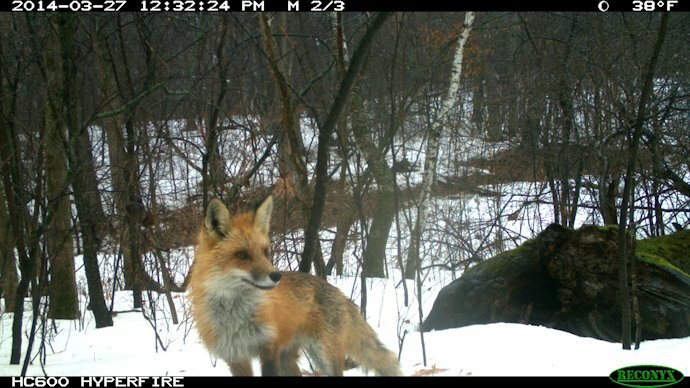 This past March, we announced a new collaboration between the Minnesota Zoo’s BioDiscovery Project and the Lincoln Park Zoo’s Urban Wildlife Institute. 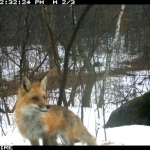 Katie Talbott, Coordinator for the BioDiscovery Project, has an update on their trail camera project! On a typical visit to your local zoo, you wander past beautifully crafted exhibits showcasing animals native to various areas of the world. You might admire how natural a particular exhibits looks, and feel like you just stepped into the region of the world thousands of miles away, where the species on display lives. Fast forward twelve hours or so, when nighttime envelops the zoo grounds: guess who is wandering through the parking lot? Who do you think is making their home in the woods just behind the exhibit you admired earlier? 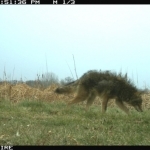 It could be a wild coyote, mink, or turkey! Local wildlife (wild animals that live freely without any help from humans) is more abundant on zoo property than you might think! 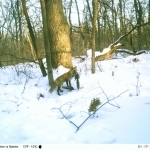 In 2013, the Minnesota Zoo’s BioDiscovery Project teamed up with Mason Fidino, Coordinator of Wildlife Management at the Urban Wildlife Institute, to compare notes about the diversity and habits of wildlife found on each zoo’s campus. 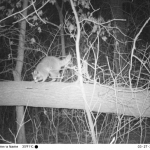 For our first project, we compared trail camera data taken from late January to early April 2014. 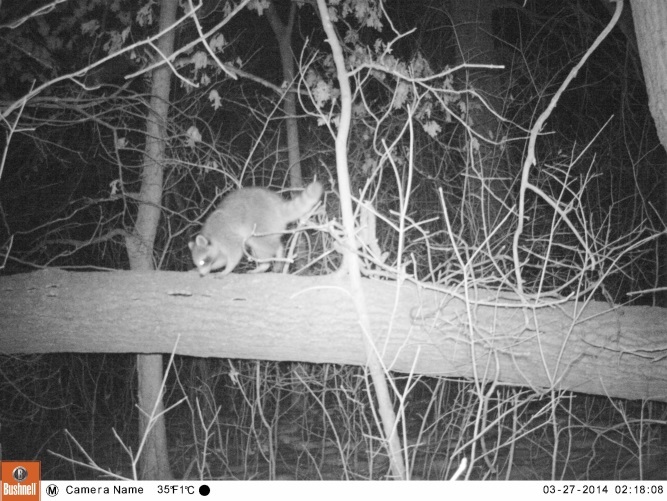 When we started sorting through these photos, we noticed that a few species, including raccoon, coyote, and gray squirrel, were seen at both zoos. 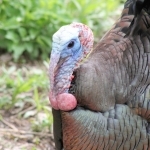 However, there were also several species that we didn’t have in common; for example, striped skunk, American mink, red fox, woodchuck, and wild turkey were photographed at Minnesota Zoo, but not Lincoln Park Zoo. Only one species, the eastern cottontail rabbit, was photographed on Lincoln Park Zoo site, but not at Minnesota Zoo. Why the differences? All of the species mentioned have ranges that extend through both central Minnesota and northern Illinois. The higher diversity on Minnesota Zoo grounds is likely an effect of the larger and varied habitats available on Minnesota Zoo grounds. The Minnesota Zoo spans 485 acres, and is directly adjacent to the Lebanon Hills Regional Park, which includes almost 2,000 acres! 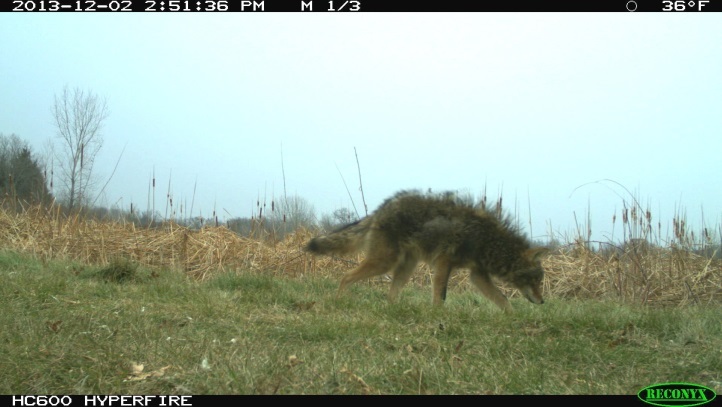 As part of a larger wildlife corridor just south of the Minnesota River, we also benefit from the increased flow of wildlife through our suburban landscape. 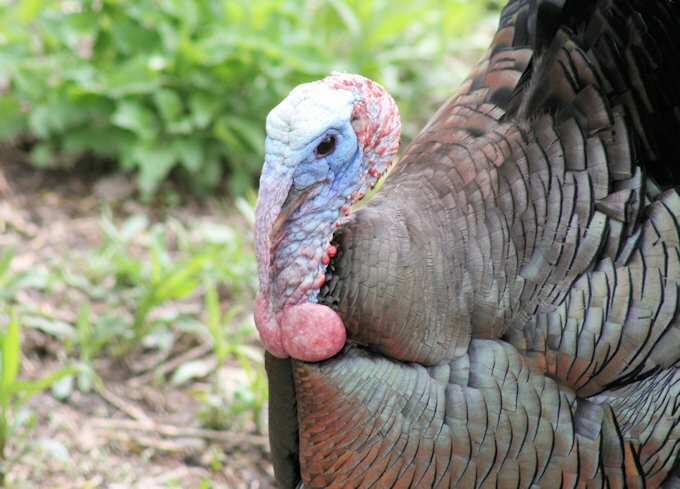 As we continue to survey biodiversity on Minnesota Zoo and Lincoln Park Zoo grounds, we encourage you to take a look in your neighborhood, school, or nearby parks for local wildlife – we guarantee you’ll find something unexpected! 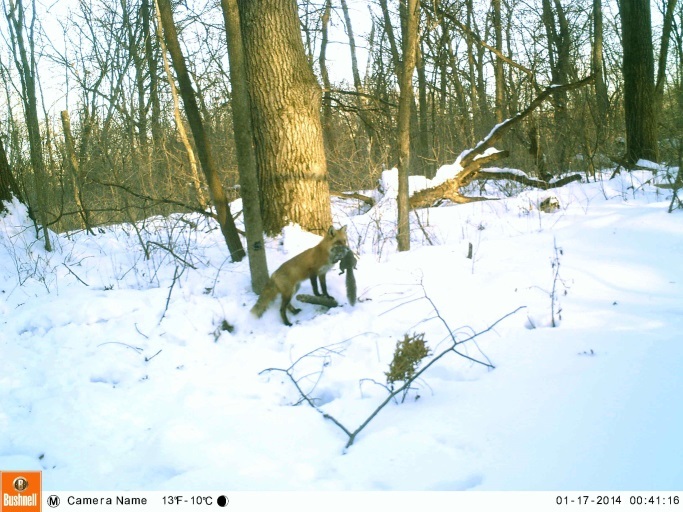 Click here to learn more about Mason’s side of our trail camera project at the Lincoln Park Zoo; also be sure to join our Facebook community and keep up to date with the BioDiscovery Project!